To begin with, a few words of explanation on the pocket square: it is a decorative handkerchief tucked into the breast pocket of a man’s suit. The cherry on top for the discerning gentleman. 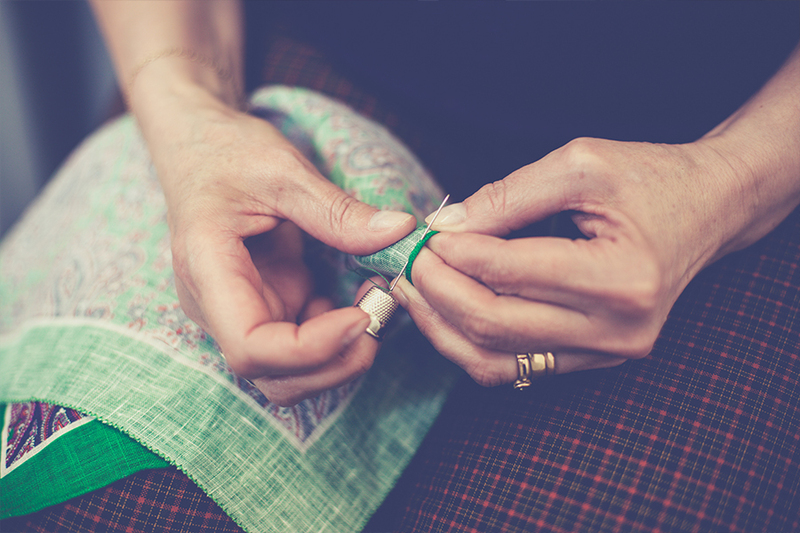 As a supplemental garment, it needs to be hand-sewn, usually made of silk, wool, linen, cotton, or cashmere. In French, called pochette, the name spread among other European languages, and it directly indicates the pocket (poche) as the neat hole where it should be tucked and worn. And, also, hence the Polish name poszetka.com. 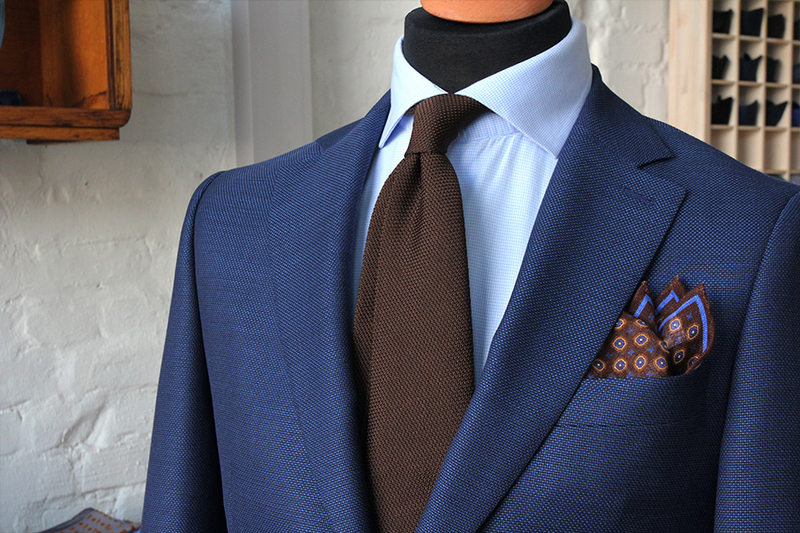 You should keep this guideline in mind when choosing your pocket square to your daily attire. Male elegance is not fickle and does not chase the fads. You want to be dressed, not dressed up. A perfectly matched combination can be recognised, when observed from afar and it looks complete as a whole. Only when the observer comes closer to you, do individual elements of your attire start to exhibit their expressive details, maintaining coherence all the way through. The pocket square, the tie, the cravat, the scarf, or the bowtie – neither should come to the fore and steal the show from the main point of interest – you. Accessories complement a man’s attire making it outstanding, refined, complete. If you are wary of bold combinations, begin with a white pocket square (eg linen) which corresponds well with virtually every attire. Tuck it in the breast pocket using TV fold or presidential fold which is very easy to do. 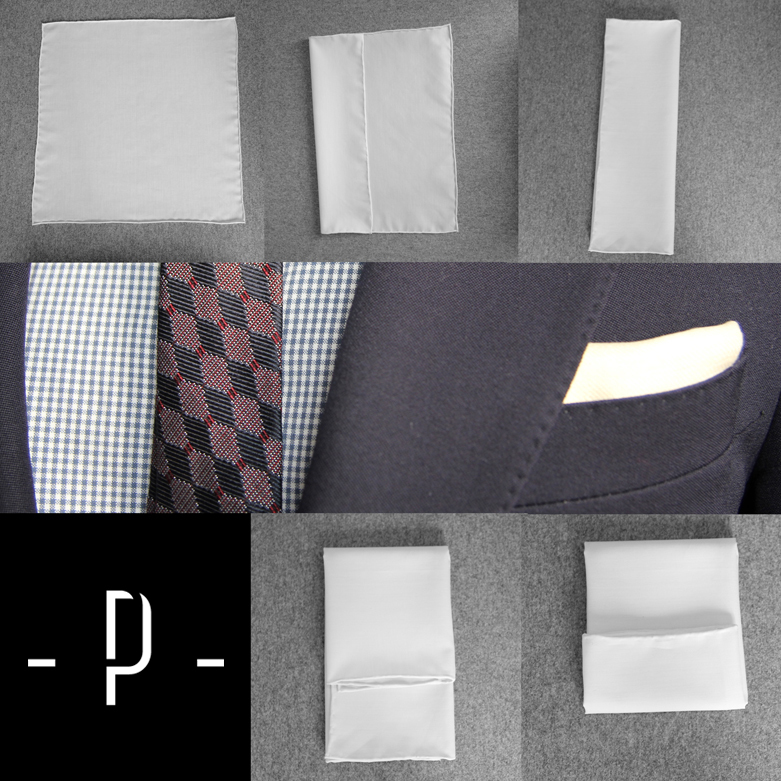 When choosing your pocket square, make sure that it fits the size of the breast pocket, the golden standard being 33x33cm, also at poszetka.com. Your pocket square should not stuff the breast pocket overly, neither it should slip down – and the material it is made of also plays a significant role. If it slips down, you can stuff the bottom of the breast pocket with worsted wool, a material poszetka.com can send upon your request. Pocket square should complement your outfit – in other words, match it with a pattern, or texture of your tie, shirt, jacket, boutonniere pin, or even socks! Before you make your purchase, take a look through your wardrobe to match colouring of your pocket square to the colours you most frequently wear. Grey, navy blue, and burgundy are the most frequently picked and the most classic colours in the code of male elegance. 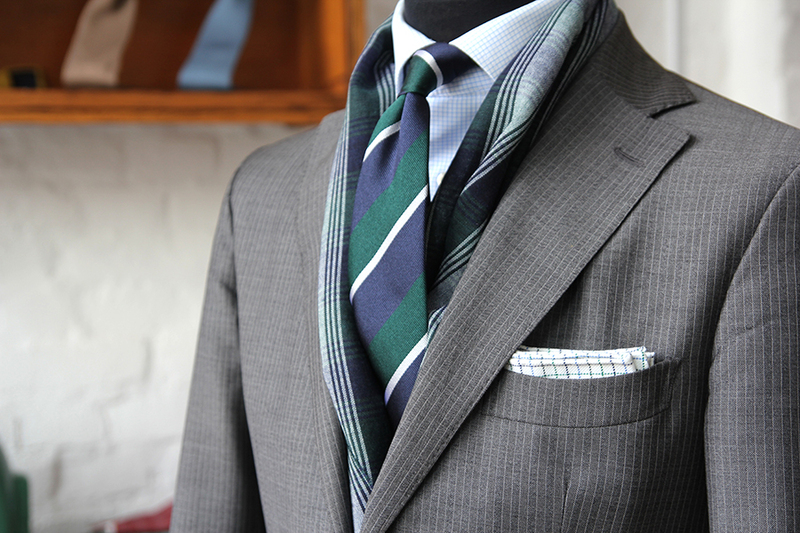 If you choose a patterned tie, try a more conservative pocket square. Conversely, a solid tie will welcome a dash of pocket square flamboyance: paisley, checkered, or polka dots are perfect combinations. However, you should never match two accessories made of the same fabric (tie with pocket square, bow tie with pocket square). Do not fear experimenting! Duck pattern, or butterfly pattern pocket square – along with mellow wool texture and such classic colours as navy blue, or burgundy – will beautifully garnish your look. 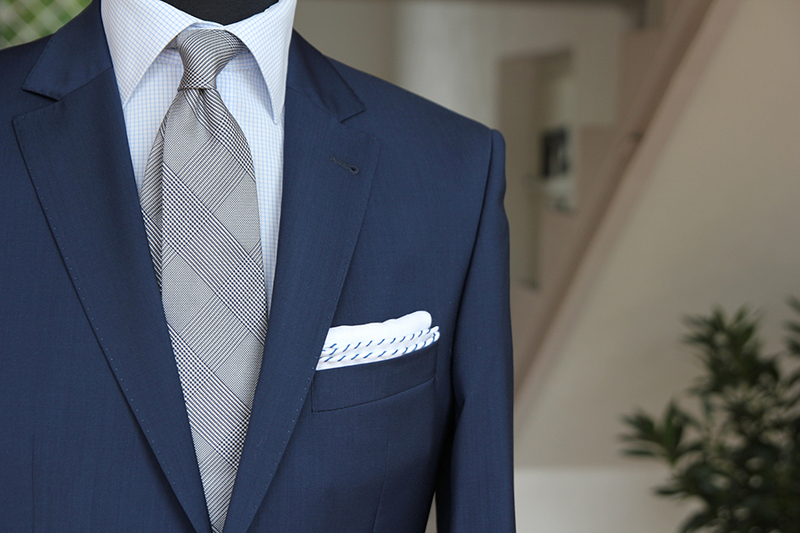 Let your pocket square show its pointed edges. 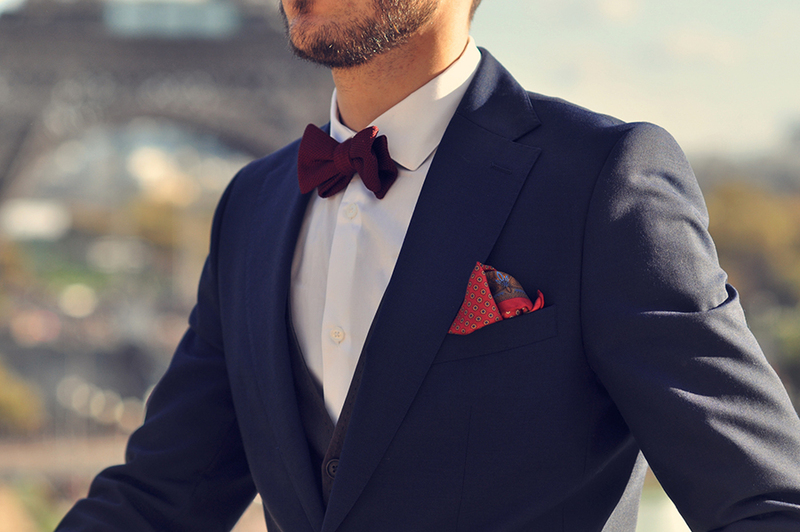 This is how to make your look sharp. Go with your mood! Remember that with time and experiment you will gain experience and confidence, allowing yourself more freedom to play with colours, patterns, and textures. 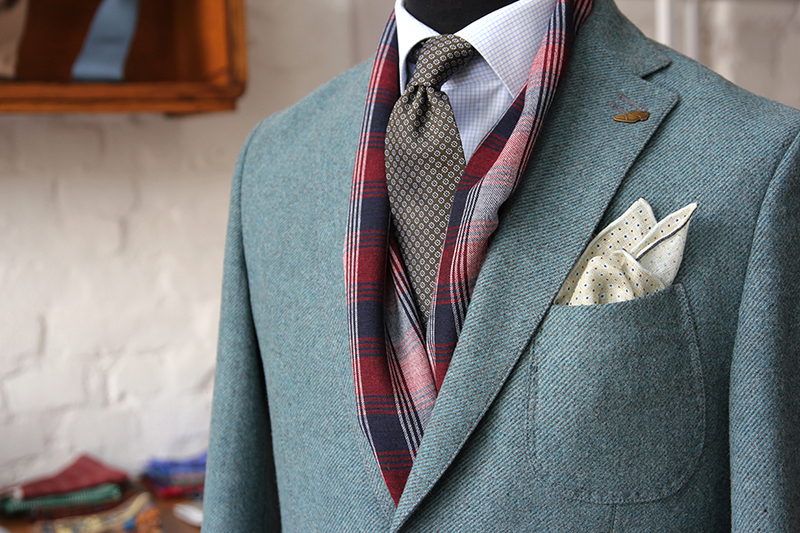 You should match the material your pocket square is made of to the season, or event. 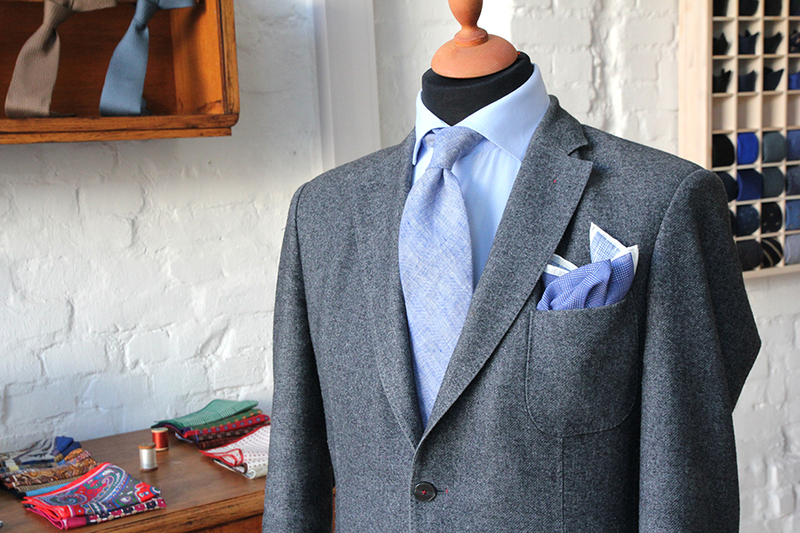 Linen is typical for the spring and the summer, while wool is perfect for autumn and winter looks. Silk, due to its glossy and refined texture, is reserved for more elegant and formal events. Our advice is to choose materials without any artificial fabrics, like polyester, as their gloss is far from flattering. Remember that different fabrics behave differently in the breast pocket – linen and wool, due to their rough structure, fit better in the pocket, while silk tends to slip down. Also, the type of material should fit the occasion – cotton or wool pocket squares match everyday events and outfits, eg tweed or cotton jackets; silk or white linen pocket squares elevate your look to a decidedly more formal sphere. 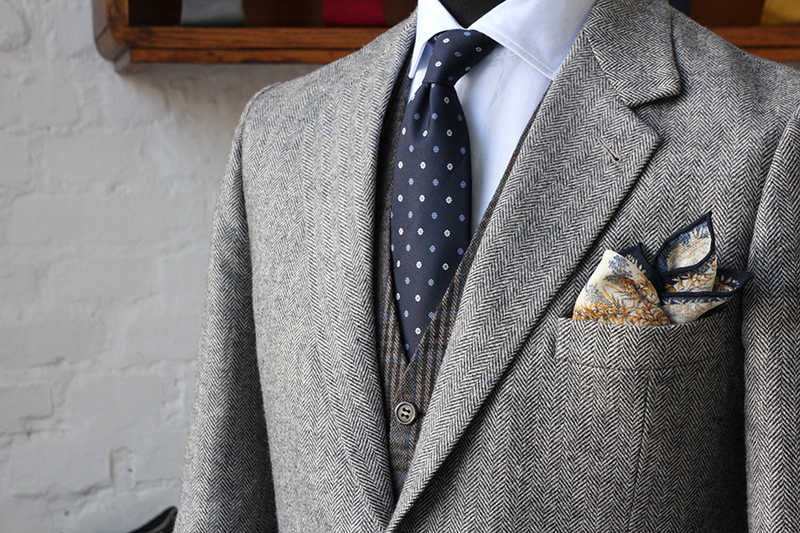 Finishing: according to rules of classic male elegance, the pocket square should be finished by hand with rolled edges. When worn, this elegant detail should be exposed above the rim of the breast pocket (even in the classic TV fold), thus emphasising the hand-made quality of the product and the additional effort that has been put in sewing your pocket square (hand-sewing of one pocket square consumes ca. 1 hour).